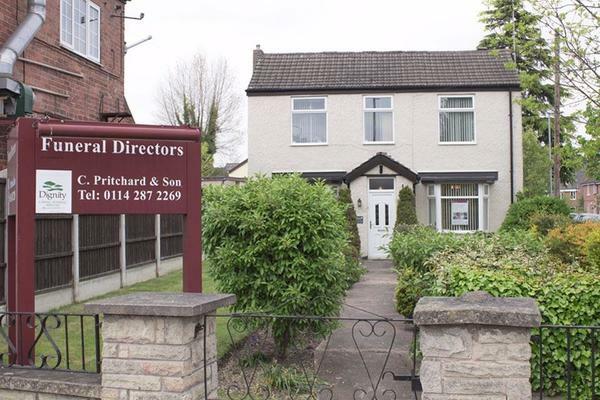 At C Pritchard & Son Funeral Directors we serve our local community with the highest standards of funeral care. We are based in Swallownest, Sheffield, and put your wants and needs first. As Dignity funeral directors, we understand how difficult it can be to plan a funeral. That is why we are here for you, to help and guide you, and to make sure the funeral service goes exactly as you want it to. We are able to cater to all kinds of services for you. From woodland burials to colourful funerals, we will work closely with you to make sure every detail is perfect. You can get in touch with us at any time of day, just give us a call. We will be here for you whenever you need us. Call us today on 0114 287 2269 to talk through your personal requirements. At C Pritchard & Son Funeral Directors, we understand how special life is with those that you love. For us, every funeral is unique and personal. We have a service to fulfil every wish, with every detail carried out with the same uncompromising quality of care. From a traditional service, to a colourful woodland burial, your options are limitless with our Full Service Funeral. If you have a little more flexibility when it comes to arrangements, then we can provide a Simple Funeral for a lower cost. There are six parking spaces available at the rear of the branch. Please call us before your visit. Our staff are available 24 hours a day on 0114 287 2269 if you require our services outside of these hours. Very friendly and helpful staff. Really listened to what I wanted to do and how I wanted to do things. Kept me informed on all developments and never too busy to talk if I needed anything. Really lovely people.